Mark Takano was born today, December 10, in 1960. He is a politician who has been the United States Representative for California's 41st congressional district since 2013. A member of the Democratic Party, Takano is the first openly gay person of Asian descent in Congress. Takano was born in 1960 in Riverside, California. His family was relocated and interned from California to a "War Relocation Camp" during World War II. He is Sansei, that is, the grandson of people born in Japan who immigrated to the United States. He graduated from Harvard University with a BA in Government in 1983. He later graduated with an MFA in Creative Writing for the Performing Arts from the University of California, Riverside in 2010. He taught British literature in public schools for 23 years. He was a member of the Republican Party through college, when he became a member of the Democratic Party. In 1990 he was elected to the Riverside Community College Board of Trustees and has served on that body since then. While on the board, he shepherded a measure that provided Riverside Community College employees with domestic partner benefits. In 1994, Takano defeated Raven Lopez Workman in the Democratic primary, 70–30 percent. In the general election, Calvert defeated Takano 55–38 percent. 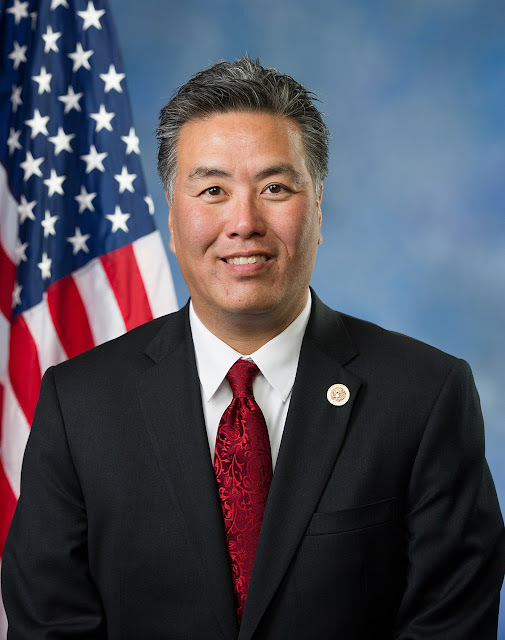 In July 2011, Takano announced he would run for the U.S. House in the newly redrawn California 41st congressional district, established in the redistricting following the 2010 United States Census. Five candidates ran for the open seat. In the June 2012 open primary, John Tavaglione, a Republican, ranked first with 45 percent of the votes. Takano ranked second with 37%. In the November general election, Takano defeated Tavaglione 58–42 percent. Takano became the first openly gay member of the House who is not white. After Corrine Brown's indictment on July 8, 2016, she temporarily stepped down as ranking member of the Veterans Committee, leaving Takano as acting ranking member until the end of the 114th Congress. When Representative Bill Cassidy (R-Louisiana) circulated a draft letter opposing an immigration reform bill in 2013, asking for signatures, Takano marked it up in red pen like a high school assignment and gave it an F, with comments like, "exaggeration -- avoid hyperbole." This was followed (in 2015) by a similar response to an Op-ed, written by Sen. Marco Rubio (R-Florida), on recent Net Neutrality legislation. In particular Rep. Takano took issue with the Senator's use of mixed metaphors "… brings together a perfect storm … the federal government wants to crash the party." and lack of factual evidence.